Our range of products include comb plastic box. 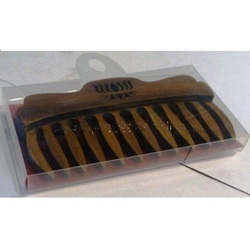 We provide a wide collection of Comb Plastic Box which are used for storage of edibles as well as non food items. These boxes are made up of qualitative raw materials. Comb Plastic Boxes are known for their highest quality and cost effectiveness. These boxes are available in distinct shapes, sizes and color combination. We fabricate them as per requirement of clients to facilitate their needs. The boxes are durable and provide an excellent storage.